Too much exposure to ultraviolet (UV) radiation from the sun causes sunburn, skin damage and increases the risk of skin cancer. Sun exposure in the first 15 years of life contributes significantly to the lifetime risk of developing skin cancer. Australia has the highest rate of skin cancer in the world. Skin cancers account for 80% of all new cancers diagnosed in Australia each year. Melanoma is the most diagnosed cancer for 15 – 44 year olds. 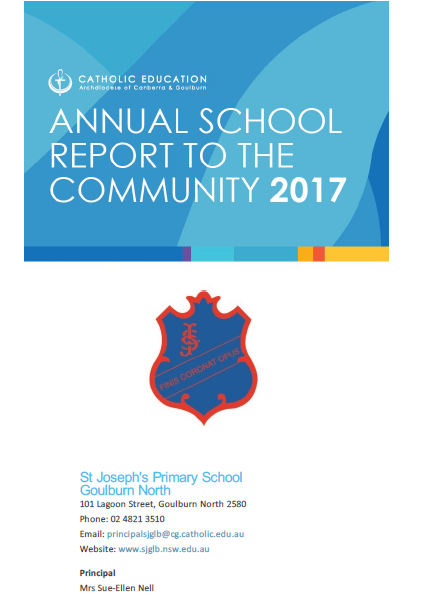 St Joseph's Primary School is committed to providing a safe working environment for all our students, workers and visitors. ensure that families and new staff are informed of this policy. Staff and or students check the daily UV reading. This is added to our school homepage. between 10 am and 3 pm when UV levels reach 3 and above. This policy is considered when planning all outdoor events (e.g. assemblies, camps, excursions and sporting events). in areas where students congregate (e.g. lunch areas, canteen, outdoor lesson areas and popular play areas). Shade provision is considered in plans for future buildings and grounds. The availability of shade is considered when planning excursions and outdoor activities. Students are actively encouraged to use available areas of shade when outside. Students who do not have appropriate hats or outdoor clothing are asked to stay in an area protected from the sun. Students are required to wear hats that protect their face, neck and ears whenever they are outside. Recommended sun-safe hats include legionnaire, broad-brimmed and bucket hats. Baseball caps do not offer enough protection and are not recommended. Students who do not have an appropriate sun protective hat will be asked to stay in shaded areas only. Whenever it is anticipated that students may be exposed to direct sun for any extended period, and therefore the potential of sunburn, their parents/carers will be requested to provide SPF 30+(or greater) broad spectrum, water resistant sunscreen. SPF 30+(or greater) broad spectrum, water resistant sunscreen will also be made available for staff and students’ use in these circumstances. Sunscreen should be applied at least 20 minutes before going outdoors and reapplied every two hours as required or more often if sweating or in the water. Time will be allocated sunscreen application prior to outdoor activities. Close-fitting wrap-around sunglasses that comply with Australian Standards AS 1067:2003 (Category 2, 3 or 4) are encouraged but optional. Staff act as role models by using a combination of sun protection measures as outlined above when the UV level is 3 or above. Families and visitors are also encouraged to use a combination of sun protection measures (sun protective clothing and hats, sunglasses and sunscreen) when participating in and attending outdoor St Joseph's Primary School Goulburn activities. Sun protection and skin cancer awareness programs are incorporated into appropriate areas of the St Joseph's Primary School Goulburn curriculum. Students are encouraged to be involved in initiatives to promote and model sun protection measures to the whole St Joseph's Primary School Goulburn community. Sun safe behaviour is regularly reinforced and promoted to the whole St Joseph's Primary School Goulburn community through newsletters, St Joseph's Primary School Goulburn public website, parent meetings, staff meetings, St Joseph's Primary School Goulburn assemblies, student and teacher activities and on student enrolment. other appropriate sun protective clothing. Sun protection is considered when planning all excursions. Refer to Excursions Policy. required unless the UV index level reaches 3 and above. Sun protection is required when in alpine regions, near highly reflective surfaces such as snow or water, or outside for extended periods. All workers must follow the guidelines as set out in this policy. initiation of corrective actions where necessary. Where a staff member breaches this policy St Joseph's Primary School may take disciplinary action.